I love books. Not the electronic kind, the paper kind. I’m a big proponent of reading books in real life, and not on a screen. Relax, I’m not mandating the good people of Charlotte to burn their reading devices. However, I’m adamant that to truly appreciate the writer and cover artist’s expressions of creativity and imagination, you need to hold the actual book. Sally Brewster, bibliophile and owner of Charlotte’s only indie bookstore, Park Road Books, agrees. And so it is. 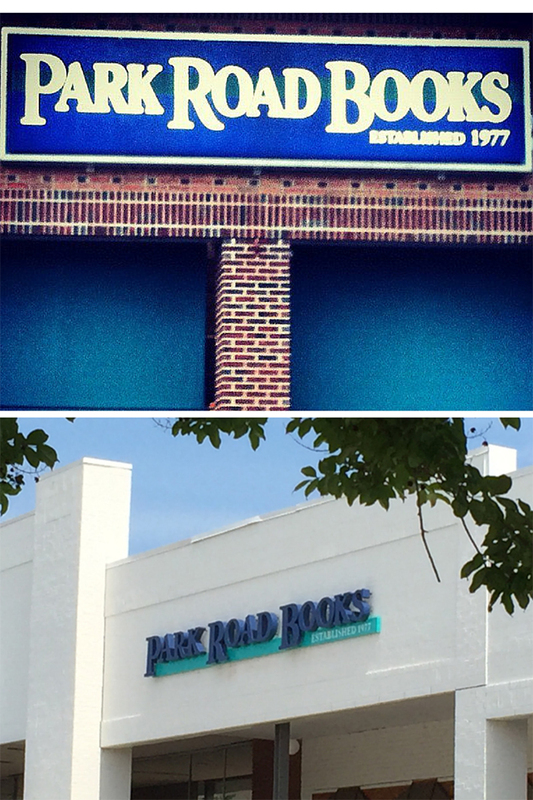 Park Road Books, located in the iconic and bustling Park Road Shopping Center, opened in 1977 and Sally is the second proprietor since the store’s opening. Sally is particularly optimistic about Park Road Shopping Center and the surrounding revitalization. The area is experiencing a Golden Age, and the 3,500 sq. ft. Park Road Books plans to be there for the foreseeable future. She credits the developer’s (Edens) 2014 multimillion dollar commitment to update the shopping center as a vital catalyst for drawing more consumers and retailers to the area; specifically, when the brick exterior was painted white, there was a noticeable increase in traffic. 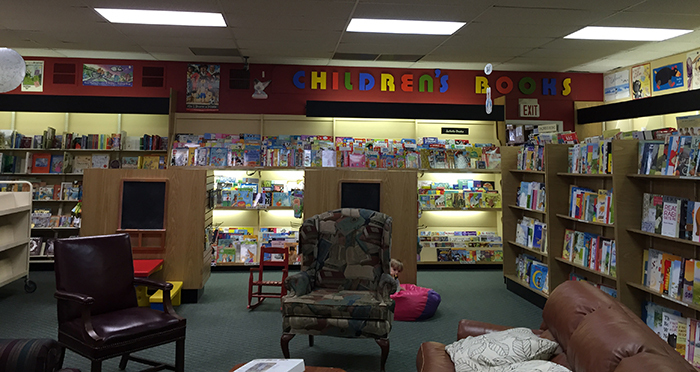 Sally mentions that the majority of Park Road Books customers can be categorized as either parents with very young children or baby boomers. (1) Park Road Books cares about you. The staff has seen generations of families come through and they want to hear how you’re doing. They’ll get worried and check on you when you don’t come in on your regular day, but not in a creepy way. You won’t get this kind of attention from Amazon or Barnes & Noble. (2) People care about Park Road Books. One customer brings in a cheeseball on Christmas Eve. Every. Year. 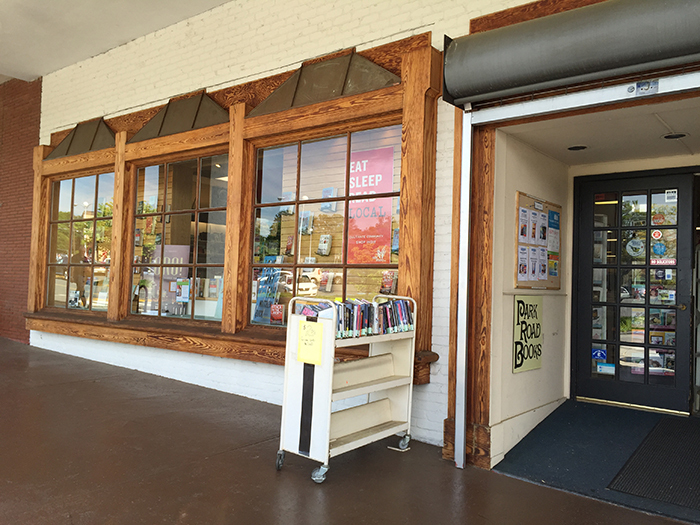 (3) Park Road Books hosts hundreds of events. Author visits, book clubs, celebrations, you name it. Sometimes they have cake, sometimes there are live chickens, and sometimes they crush 300 blocks of ice to create snow for kids. They’re all in. 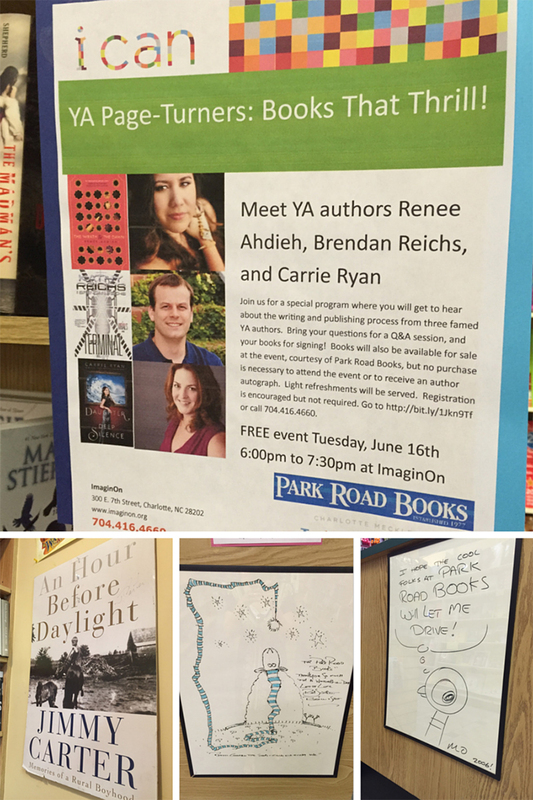 (4) The coolest authors come to Park Road Books. Jimmy Carter, Margaret Stohl, David Baldacci, Jeff Kinney, Mo Willems, Anne Rice, and let’s not forget Charlotte’s own Kathy Reichs and Brendan Reichs. 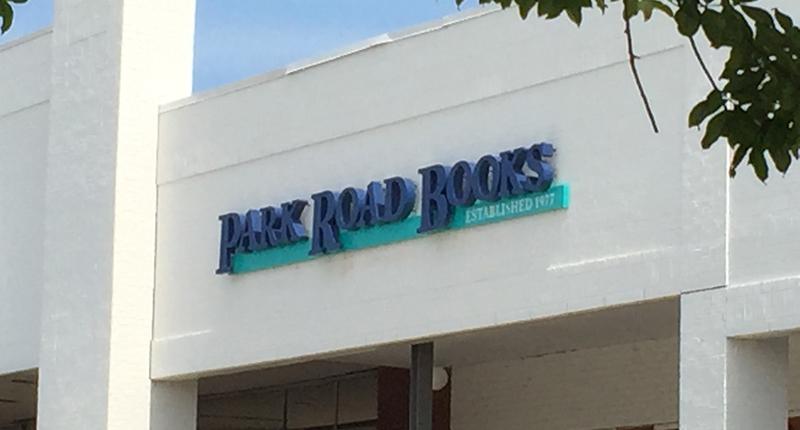 Park Road Books is on the map and authors love Park Road Books, that’s how you know it’s a gem. (5) Yola. Dogs are welcome here (Sorry, Katie! Forgot to ask about cats.) 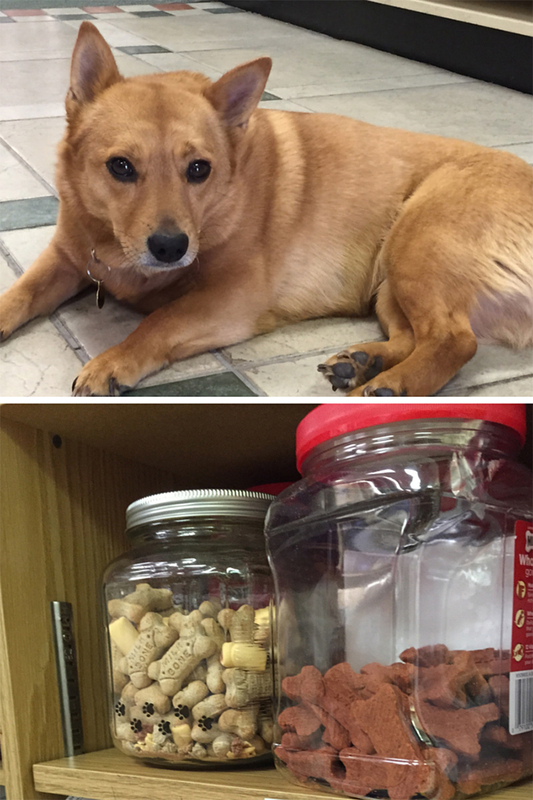 Yola is the bookstore dog and she’s bookstore royalty. 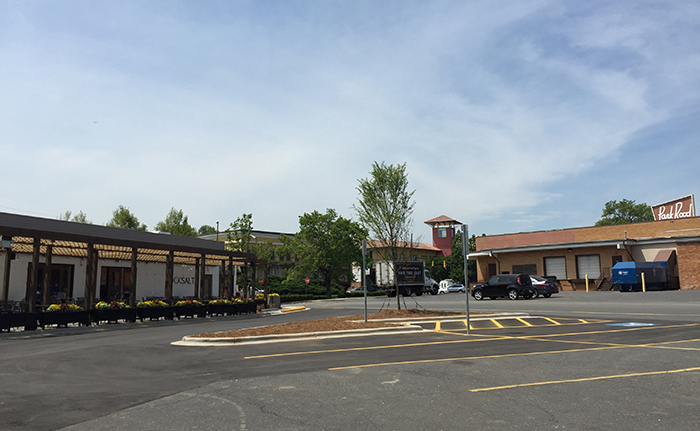 (6) Amazing things are happening at Park Road Shopping Center. 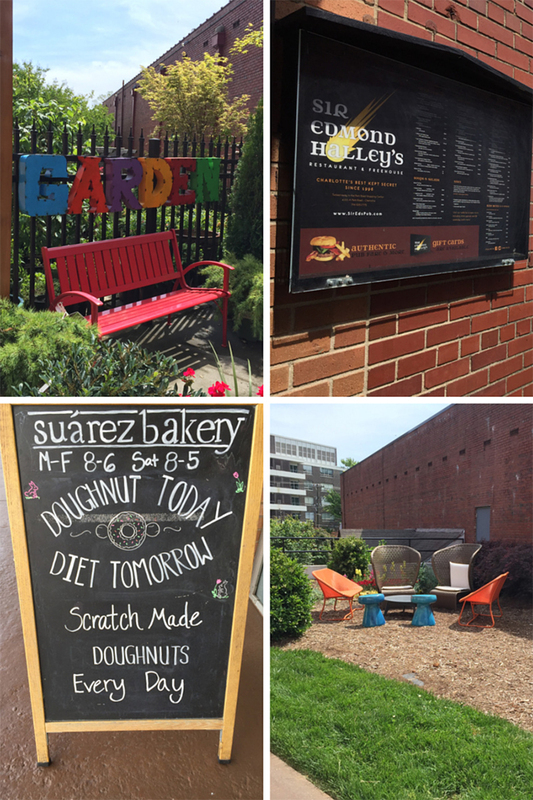 There’s too many to list, the whole place is turning into charm city and to double down, Edens is mulling a facelift to the back parking area (where ROCKSALT is) to develop an inviting courtyard feel. A bookstore is an oasis after a meal or in between errands and Sally is hoping for increased nighttime business and longer weekend hours. 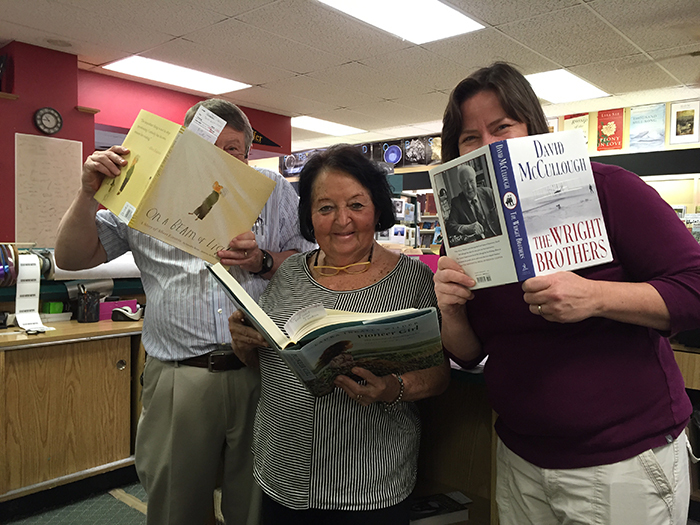 (7) The staff at Park Road Books knows books. 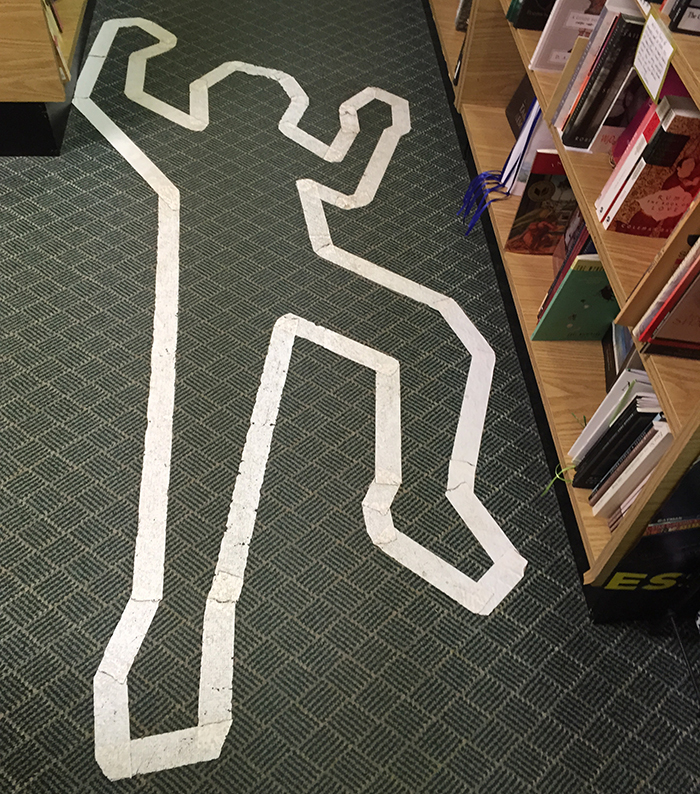 There’s 14 people who work here with over 125 years of cumulative bookselling experience. They set aside books that they think certain customers will enjoy and these customers buy them, sight unseen. That’s trust. (8) They’re open to new ideas. I asked Sally if I could work at Park Road Books when I grow up and she said “OK.” She was distracted when I asked and it’s possible I heard an inflection at the end, but I’m going to go with it’s a yes. (9) When you shop local, the money stays local. 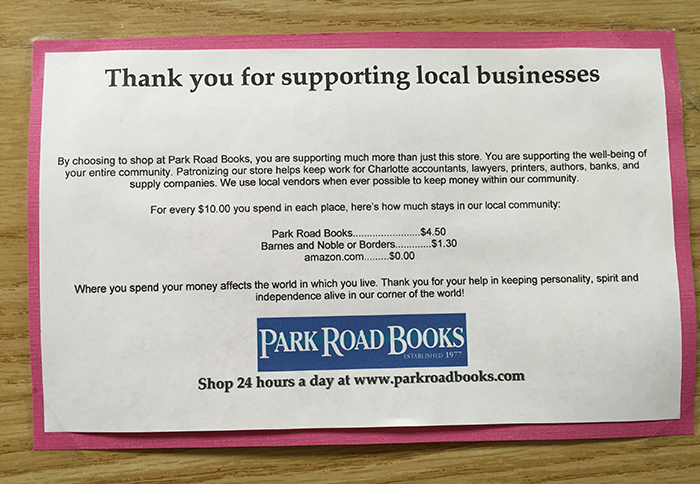 Park Road Books is local proud and they want you to know how much your investment in local counts. (10) You overhear the best conversations at an indie bookstore. I overheard Frank and Phillip discuss their love for Midwood Smokehouse and Sally profess allegiance to her Plaza Midwood neighborhood. I also overheard general disdain for apartment buildings overtaking Charlotte. It was like they read the Agenda. 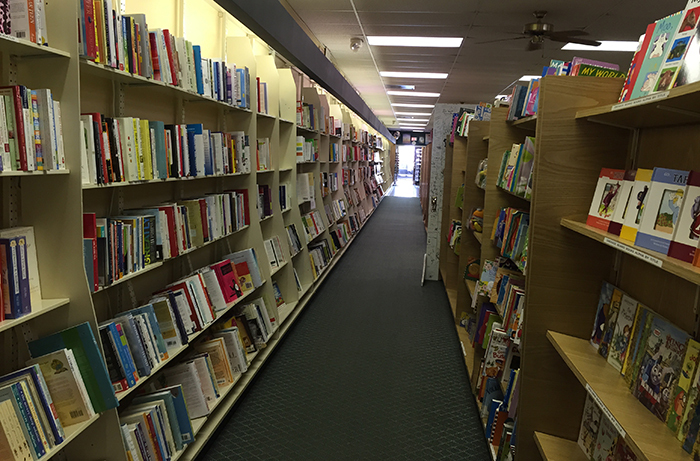 (11) Park Road Books gives back. 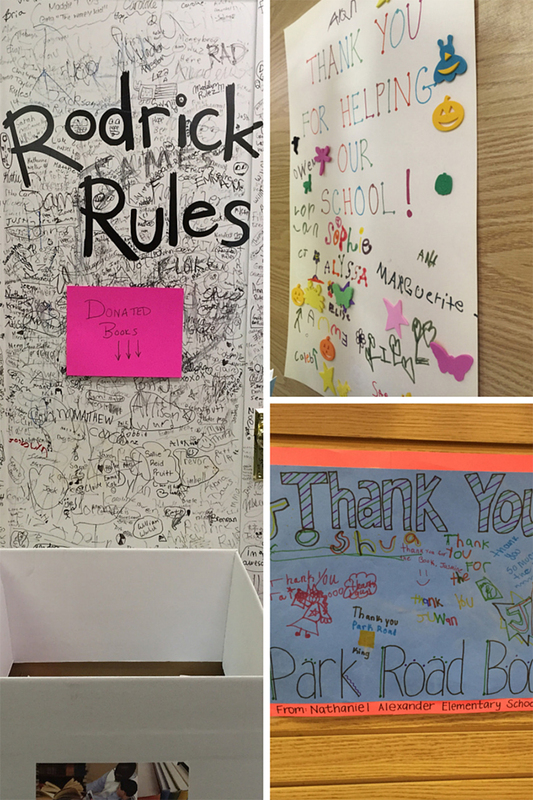 The store is decorated with thank you posters and their involvement in a holiday book giving program with Community in Schools gives hundreds of books to underserved and appreciative children in Charlotte. (12) The books. The selection is diverse and well curated. If you’re like me, the moment you cross the threshold, you’ll be hit with the inspiration emanating from the rows and rows of books. 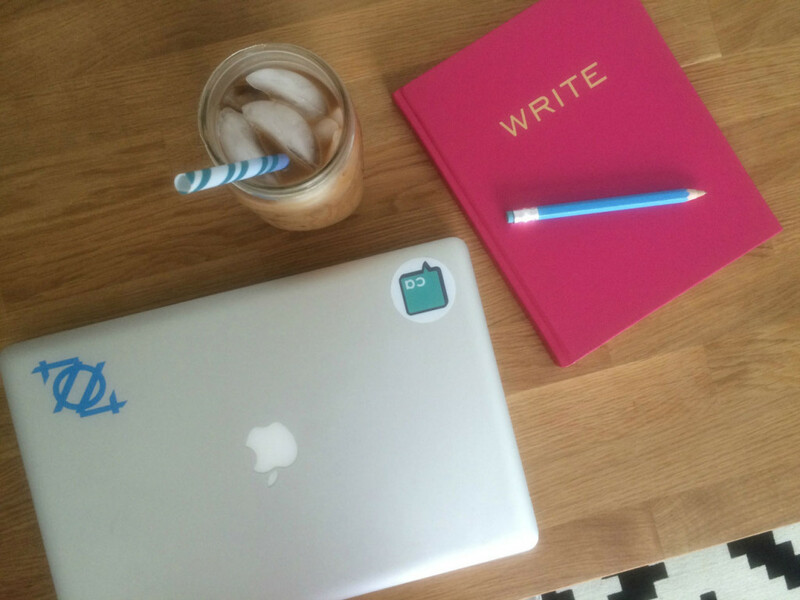 Each cover is a work of art and you’ll leave on a high. I can’t imagine appreciating Park Road Books more than I already do, they have a vibe that’s authentic and reminiscent of many indie bookstores across the country. If you haven’t already, you should stop in Park Road Books and take a look around. Make it a habit. Time will stop as you absorb the shelves and your technology jaded soul will thank you.